Last weekend residents of my block got together to tidy up our communal gardens in its twice- yearly ‘dugnad’. It is traditional in Norway to have seasonal days every spring and autumn when people get together in neighbourhoods to collectively clear or spruce up their areas: gardens, streets, beaches etc.. to coincide with the changing of the seasons, at the end of winter as spring emerges and, now, in autumn in advance of winter. At this time of year, piles of fallen leaves are typically gathered and taken to the municipal green recycling centre where they are mulched. Each year, I keep some back for myself to make my own leaf mould. I’ve been collecting leaves in a black plastic bag with holes punched in it and, over time, I have added grass clippings and plant foliage from garden clearance. I’ve kept the bag in a sheltered position and periodically turned it and as the leaves have softened I have roughly torn up the clumps of leaves that have formed. Now in its third year, it has gone from looking like the bag on the left to the one of the right. The mixture now resembles dark, crumbly earth and is referred to as leaf mould. It adds valuable nutrients into the soil just as it would in nature and enhances the quality of the soil. Granted it’s taken a few years to produce here, but it’s so easy to do and it’s so worthwhile. I added a couple of handfuls of freshly fallen leaves to the old bag but decided not to add all of this year’s leaves to it as it had become so well-rotted. Instead I created a new bag just for this season’s leaves. I didn’t add water as the leaves were already damp. I threw in some grass that had got caught in the rake and added some spent coffee grounds from the morning’s breakfast as I’ve read this adds nitrogen. To be honest I’ve never been exact with the proportions of grass clippings (green waste) versus leaves (brown) in the mix but it generally is 5 parts leaves to 2 parts grass clippings. Obviously if you can shred the leaves then this will speed the process up. Come spring time when the weather begins to warm up again, I’ll add a good layer to my pots. 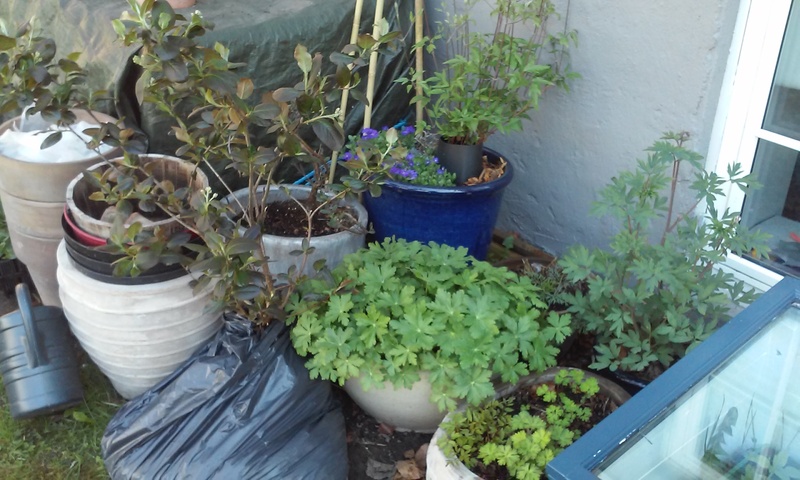 For now, I’ll hand shred some leaves and put them onto the pots once after pruning to give the plants some winter protection. It was time to prune the perennials. The Geraniums macrorrhizum and sanguineum were still verdant but the Geranium Rozanne had already browned and withered. The Coreopsis still had lots of unopened buds on the stems. I cut everything back to within a few centimetres of the soil except for the Rozanne which I took right back to the soil and removed all the dead foliage. I also cut back the Lamprocapnos and, having only bought it this year, I’ll be curiouss to see how it manages the winter. 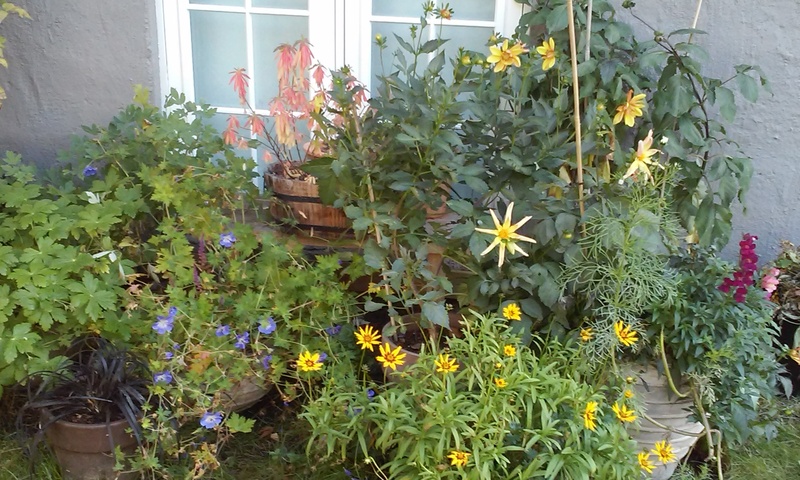 I pruned the honeysuckle and clematis. In previous years I pruned them back in the spring but this year I needed to be a bit more drastic. So much clematis foliage had become tangled with the spiral climbing frame that it was almost impossible to remove it without cutting back substantially. 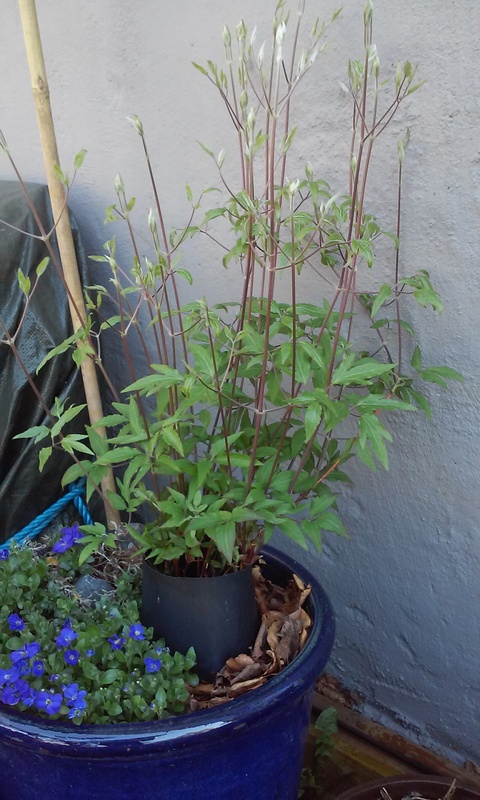 I also let my honeysuckle get a bit lax over the summer and its stems had splayed out in all directions so to make things easier I pruned it back now. I’ve deliberately pruned a little less severely and left stems a little longer. Come spring I’ll see whether pruning them this way has made a substantive difference. I didn’t prune the dwarf Astilbe as I’ve read these do better with foliage over hard winters. I’ve also left the Euphorbia polychroma alone. 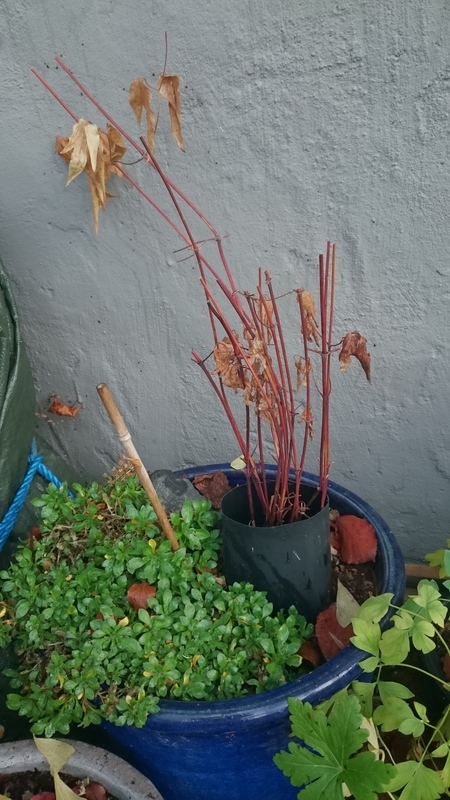 Its stems are bare but the plant dies back to the root crown over winter, so I’ll remove these ‘old’ stems when new growth begins to appear in the spring. 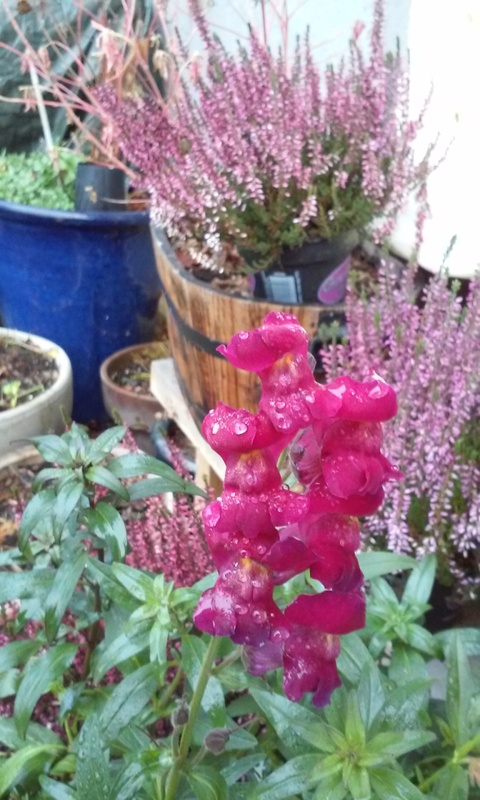 Surprisingly even with the odd night-time frost the Antirrhinum seems undamaged and its flowers are still holding firm, though no new buds are opening now. But it’s lovely to still see their splash of pink alongside the Ericas. The Ericas were the result of a spontaneous trip to the garden centre (always dangerous!) a few weeks ago. Their bright flowers seduced me on a cloudy day. It’s my first time growing them and I’ll pot them up in an arrangement with other ericaceous-loving plants in the spring. As for fruit and vegetables, chard and kale are still going strong. I’ve trimmed back the tarragon to a few centimeters above the soil on the pot and will dry the stems for future culinary use. Tarragon is only half-hardy but it came through last winter outside with heavy fleece on it, so I’ll try it again this year. 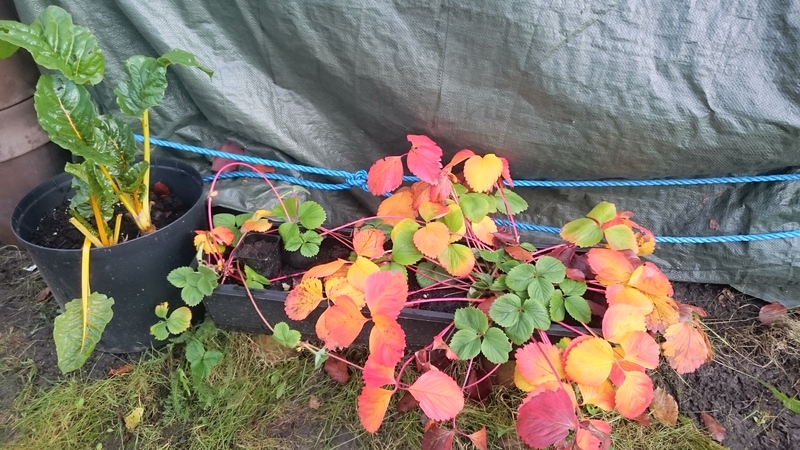 The foliage of the strawberries have turned a striking colour. This is how it looks after the clear up. 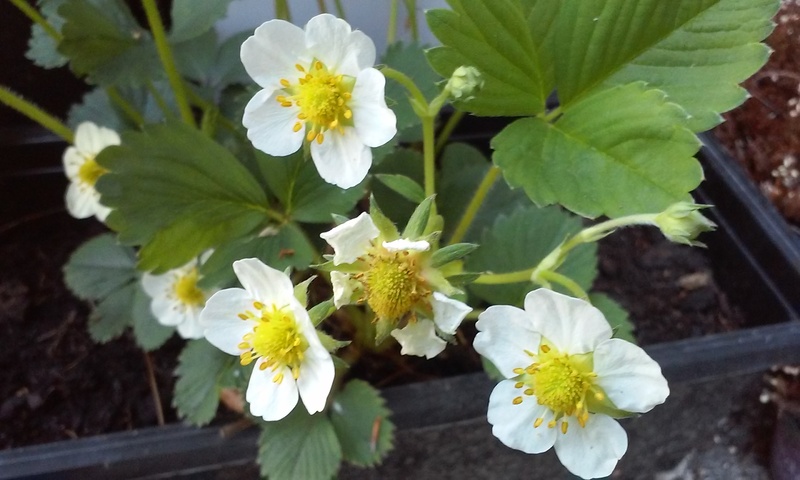 Categories: Gardening in Oslo, Monthly garden updates | Tags: leaf mould | Permalink. Whilst garden-wise things may be slowing down now, October has got to be one of my favourite months here. A perfect blend of dry crisp bright days and beautiful rich autumnal colours. The Dahlias are straining for the sun and many of their buds have yet to open. 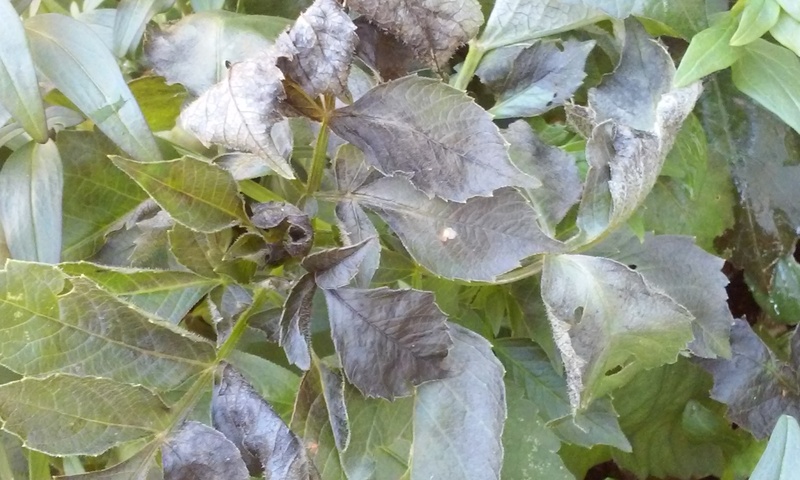 I’m not a Dahlia expert but I noticed some of the leaves look like they are showing signs of frost damage. Back at the end of May I was given some Cosmos bipinnatus seeds by a neighbour. They are only now beginning to flower and it’s great to see them- pink and white. There’s something about the plants I like: feathery foliage and open flowers that make them very uplifting. 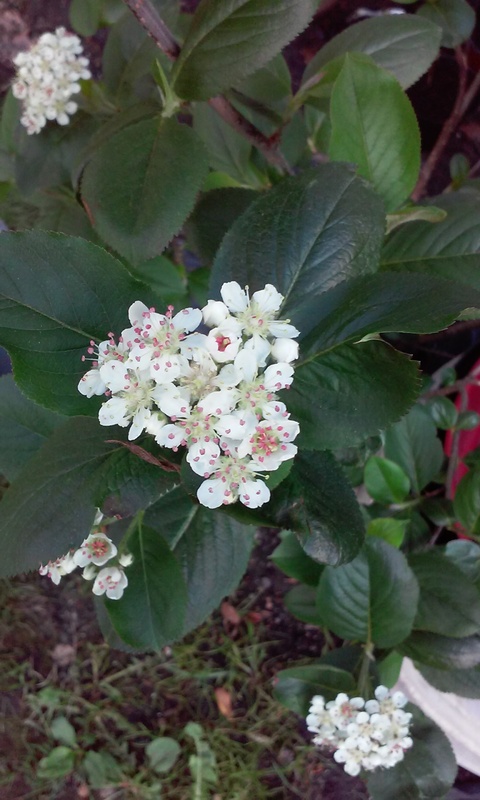 I wasn’t sure the plants would flower before the colder weather set in. So even though these won’t have time now to reach their full potential (Cosmos are typically prolific bloomers) I’m glad I’ll get to enjoy a few flowers for a little while at least. The Antirrhinum continues to produce lovely velvety purple flowers but, like the Cosmos, won’t get to produce alot of flowers. I reckon I’ll grow both again next year to enjoy them over a longer period. the magenta dwarf Astilbe peeking out from under the straggly geranium, and the Ophiopogon ‘Niger’ which has produced flowers for the first time since I bought it 2 years ago! On the veg front, the chard and kale continue to produce. Unfortunately I’m now three chard plants down after I discovered some had been uprooted, probably by over exuberant little hands (the pitfalls of growing in a communal garden). I like to think that these little green fingers may one day become big green fingers! I didn’t have so much success with the squash this year. 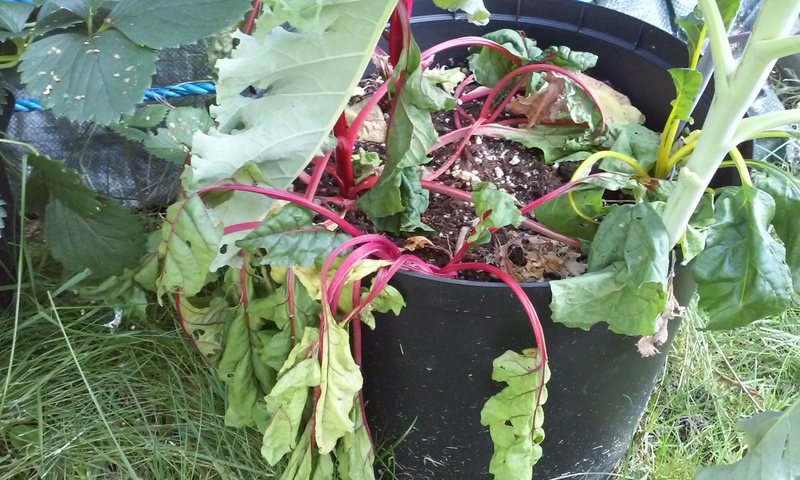 The plant had developed powdery mildew and frustratingly I had to consign it to the compost bin even though it had so many undeveloped fruit still on it. 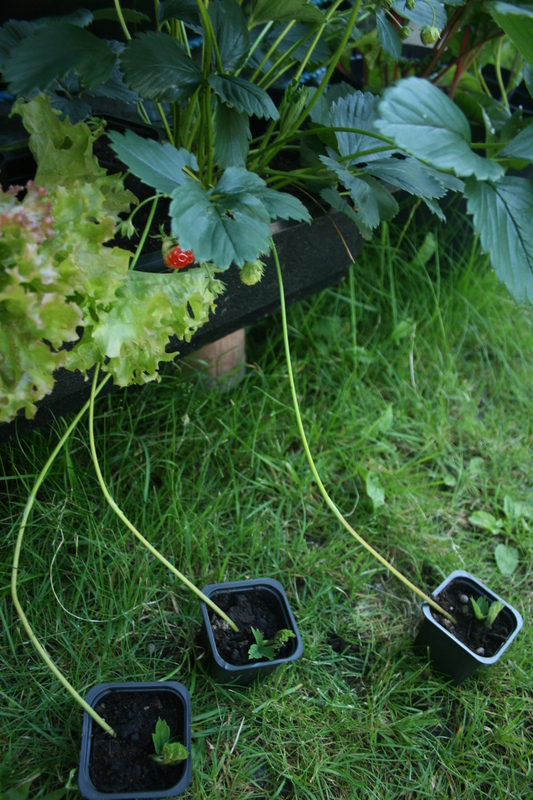 Other than perhaps not enough watering, the plant may have been stressed in its pot. 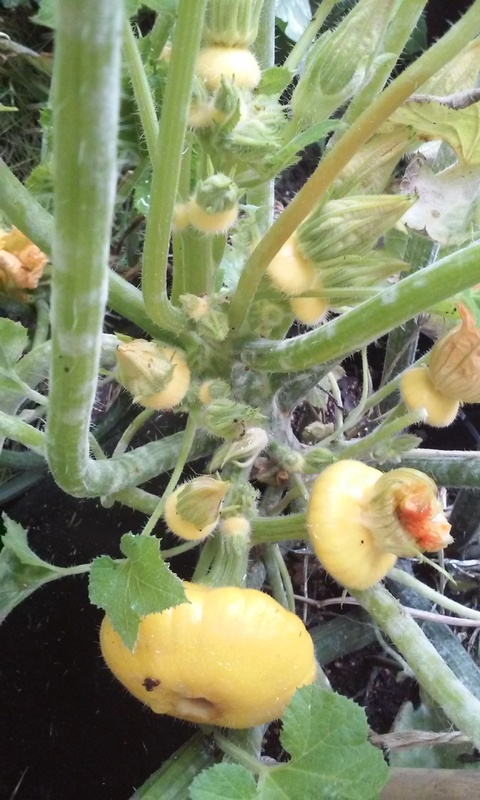 I noticed that this patty pan variety of squash seemed to want more space than other regular courgette squash I’d grown last year. If I grow them again next year, I’ll be sure to find/make a large growbag to give them space to spread out much more. In contrast, the carrots did well. It was a really fun project for my daughter who sowed the carrot seeds, watched them grow and, much to her delight, harvested them yesterday. We decided to harvest the beetroots too. They (variety Robushka) turned out small and oblong-shaped, perhaps as a result of being grown in a pot. Then again, whenever I’ve grown these beetroots they’ve always turned out oblong rather than round! 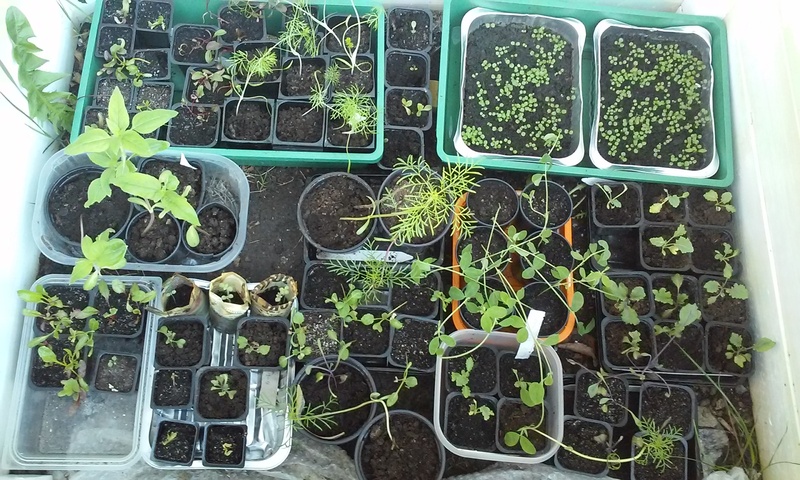 Well that’s it for now apart from to mention that my poor winter seedlings are languishing on my window sills as they wait paitiently for me to finish making my cold frame….I’m almost done! But more of that coming soon! Categories: Food growing, Monthly garden updates | Tags: Autumn, carrot | Permalink. 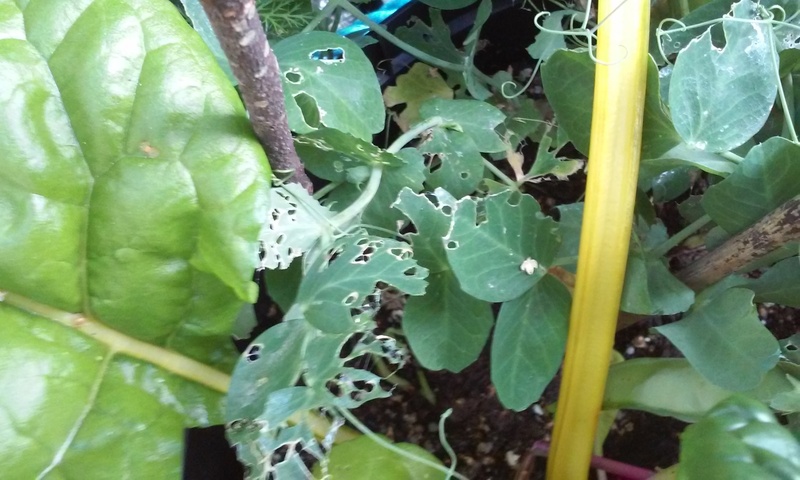 I found a few surprises when I returned to the school garden this week to see how things were doing. In Bed A, it looked a shambles! It was hard to see any resemblance to the planting plan I once devised. Still, it has produced (and continues to produce) some tasty edible food and that’s the main thing! After a nice harvest earlier in the summer (and a few ripened pea pods I found in the mess), I consigned the pea plants to the compost heap. The school had been glad to get the peas I’d picked, bagged and froze back in July. I’m pleased to see the carrots also doing so well. The purple ones do an especially fine impression of beetroots! It’s still too soon to harvest though, as the school found out recently to its disappointment. The carrots they pulled up were full of flavour but were small. So now the school is looking forward to harvesting the remaining ones that have been left to mature for a bit longer in the ground. While I stood pondering this over zealous harvesting, the mystery was solved. A little boy walked up to the bed, enthusiastically snapped off the top of a kale plant and duly stuffed it into his mouth, devouring it wholeheartedly! I had to admire his enthusiasm but I couldn’t help feel sorry for the plant! I had been ready to give up on my beans and squash in Bed C but was amazed to see the squash plants, albeit stunted, still flowering and one even had a teeny tiny squash forming! Not only that but there had been a spurt of verdant new growth among the bean plants with new flowers and beans forming. They are a bit late developing, so I don’t expect there to be too many beans in the end but it’s great to see some progress nonetheless. About 2 weeks ago the kids sowed radish (sorry, no photos!) and little seedlings have now appeared. It makes good use of the bare patch of earth where the squash should have been. Radishes love the cool weather and are fast developers, so we hope that they will mature and be harvested in time before the frosts arrive. The calendula also have been disappointingly small this year but a few have flowered. In each bed, the lettuces were in need of some attention. Some were beginning to flower and some had suffered water damage, with tale-tale soggy brown leaves at the base of the plants. I tidied up some plants by removing the affected leaves but disposed of some entirely. Where I’d removed plants in all three beds, I scattered some Grass Rye seeds, as a green manure. I hope there’s still enough time for it to grow substantially before the soil freezes so I can turn it over to add some valuable nutrients back into the soil before the winter. 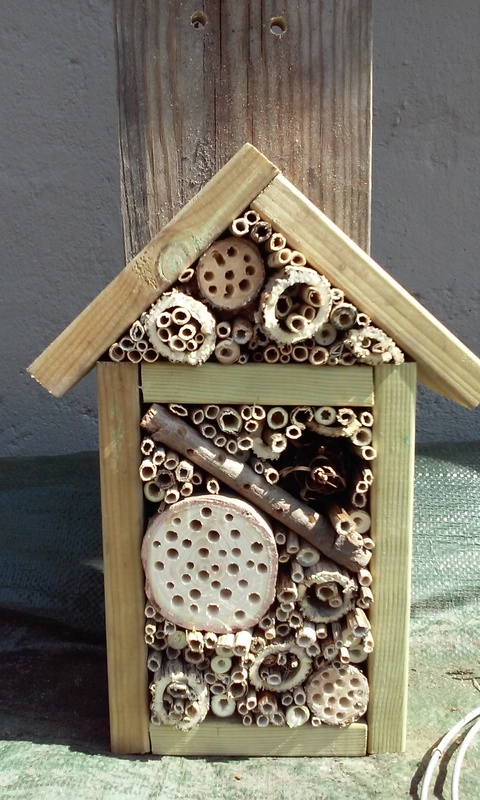 Categories: Food growing, Monthly garden updates, Raised beds | Tags: green manure, peas | Permalink. Slugs love peas! My pea plants had been absolutely ravaged and pretty much decimated. I found two of the critters lurking in the pots and was amazed to see how small they were. How much damage even modest sized slugs can make to a crop is incredible!! I had become a bit complacent about my vegetables but I will have to think up more cunning ways to stop the slugs from traversing my pots next year… Sometimes carrots go straight to flower. I hadn’t even ever seen a carrot flower before. And despite it being a rather lovely flower, it unfortunately meant there wasn’t a substantial carrot at the other end of it. The purple carrot wins the prize for most delicious taste but funniest shape! I pulled up three lovely carrots that more than made up for losing one and coincidentally there was one from each of the three varieties I’d sown: Purple Haze, Atomic Red and Milan. Purple Haze’s incredible colouration, along with its incredible flavour, made it the coolest of the three. A flying saucer has landed. The summer squash Patty Pan ‘Sunbeam’ with its fluted edges was a lovely surprise hiding beneath the big squash leaves. It had fared much better than the Golden squash courgettes, which unfortunately were shrivelled to only finger size possibly due to lack of water. Chard and kale are machines. Well not literally, but they are stalwarts and grow fantastically well. The rainbow chard in particular looks good with its vibrant yellow stems. Climbing beans need more protection. Even in a relatively sheltered position facing south-west the climbing bean plants didn’t produce a large harvest so back to the drawing board for next year. In the meantime, I picked the mature pods and ditched the tired looking plants from one pot and will wait to see what the other batch will produce. Finally, some of the annual flowers I sowed late are beginning to take shape and blossom. The lovely velvety deep red petals of the Antirrhinum majus (Løvemunn) are beginning to shine. The Cosmos has produced nice bushy foliage and I’m just waiting to see what colour their flowers will turn out to be…. Categories: Food growing, Monthly garden updates | Tags: carrot, chard, Dahlias, slugs, squash | Permalink.